TEL AVIV, Israel — Archaeologists in Israel have announced the discovery of a collection of textile fragments and seeds believed to date back to the era of King David and his son Solomon. Tel Aviv University disclosed the find on Wednesday, outlining that it helps to shed light on life during Bible times—including in regard to ways of the Edomites, the enemy of Israel. 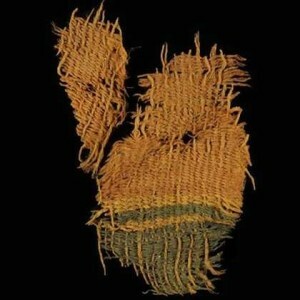 Ben-Yosef said that the fabrics were brightly dyed, had complex designs, and were of strong quality. “‘Nomad’ does not mean ‘simple,'” he outlined. “This discovery strengthens our understanding of the Edomites as an important geopolitical presence. Ben-Yosef also outlined that his team found thousands of seeds considered to be from the biblical “Seven Species,” and were found from radiocarbon dating to match the times of King David. The announcement is the latest in a string of exciting finds, including reports of the discovery of an ancient bracelet fragment embossed with an image of a temple menorah, the locating of the site of Jesus’ trial underneath a Jerusalem prison, the uncovering of the gate to the biblical city Gath, and the discovery of a seal bearing the name of the biblical king Hezekiah.